The IAF’s reported potshots at the PAK-FA stealth fighter programme may be intended to prod the Russians and their Indian partners to deliver a quality aircraft. The Indian Air Force’s ack-ack salvo at the Russian-Indian PAK-FA stealth fighter programme has surprised defence industry watchers. But the spat is hardly unique and in fact mirrors the difficulties the United States and its close allies are experiencing over the troubled F-35 Joint Strike Fighter. The IAF has five major complaints: the PAK-FA is too expensive, its engine unreliable, radar inadequate, stealth features badly engineered, and finally that India’s work share is too little. These complaints have an uncanny parallel to the issues dogging the American stealth programme, which has been blasted by the media, future customers and US lawmakers. Fifth generation fighter aircraft (FGFA) programmes everywhere are experiencing serious teeth problems. The F-35 might be a uniquely disastrous project but even its big brother, the F-22 Raptor, is not out of the turbulence zone entirely. While the Americans claim the stealth interceptor is the best fighter ever created, several pilots have been spooked by performance issues beyond the F-22’s potentially deadly oxygen problem. Considering that the Russian aerospace industry is smaller and less experienced than the Americans in designing and manufacturing high performance stealth aircraft, it’s almost certain they’ll face all sorts of issues as work progresses. But what’s also certain is the Russians – and their Indian partners – will sort out these glitches at various prototype stages. So what’s the IAF getting paranoid about? In India, the military does not dictate defence procurement policy – the civilian bureaucracy at the Ministry of Defence (MoD) does. So when a highly disciplined organisation such as the IAF uncharacteristically slams its own future fighter, then you can be sure the IAF brass is trying to put pressure on the MoD. A professional fighting force such as the IAF is surely keeping a close watch on the Chinese J-20 and J-31 stealth aircraft programmes. The two Chinese aircraft have an uncanny resemblance to the American F-22 and F-35. This is because Chinese intelligence managed to steal the technology and blueprints relating to both aircraft. The IAF’s worry is that the Chinese aircraft could end up being better than the PAK-FA. That would indeed be a disaster because the IAF will end up facing superior stealth aircraft on both the Western and Himalayan borders, assuming Beijing sells these fighters to Pakistan. The IAF is hoping the MoD will send a clear message to the Russians: we don’t mind being second best to the United States, but we certainly don’t want to be second best to China or Pakistan. The IAF’s fears are understandable. The arrival of the MiG-29 and the Sukhoi-30 MKI in the 1990s has given it a fearsome qualitative advantage over the Pakistan Air Force. For the first time since the 1960s – when the PAF acquired the F-104 Starfighters and F-86 Sabres from the United States – the IAF has aircraft that is a generation and a half ahead of the PAF. Ceding that advantage would be undoubtedly painful for the IAF. Share of work: Too little or too much to handle? India had earlier complained that Sukhoi is giving it only 15 percent of the R&D work share despite India paying half the development cost. It has expressed interest in developing some of the aircraft’s computers, software, guidance systems and other systems, as it did for a similar project with Russia producing a locally-made variant of the Sukhoi Su-30MKI strike aircraft. The problem is Sukhoi may have its own legacy systems it wants to sell. There is another parallel here – France’s Dassault, which had promised (or rather over-promised) it would offset 50 per cent of the Rafale fighter work to India, is now backtracking. Its argument is that Hindustan Aeronautics Ltd (HAL), which is India’s leading aircraft maker, is not capable of absorbing the technology. While the French are known to be a crafty bunch, and clearly want to welch on their promise, what’s undeniable is HAL has its limitations. Last year the public sector company reportedly offered to surrender 35 percent of its 50 per cent work share in the PAK-FA project. HAL’s copout had left the IAF fuming. Putting pressure on the MoD – which runs HAL – is perhaps the IAF’s insurance policy to ensure HAL does not spring such a nasty surprise again. 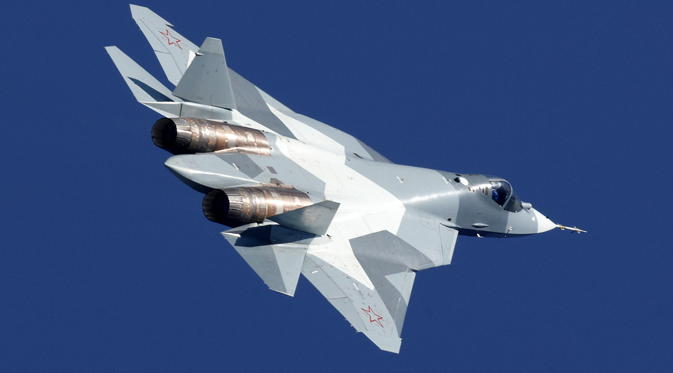 If the American stealth aircraft programme – or for that matter any weapons project – is an indicator, then the PAK-FA is likely to overshoot its budget. It’s almost a rule that big ticket weapons programmes come with cost overruns. The project could end up costing India over $35 billion over the next two decades from the original $30 billion. With India paying $6 billion to co-develop the FGFA, a large percentage of the IAF’s capital budget will be locked up. Perhaps the thinking at Air Headquarters is to fast forward the Rafale purchase by freeing up some cash earmarked for the PAK-FA. The stealth fighter being a project of strategic importance will get more cash anyway. Something along the lines of the Gorshkov aircraft carrier refurbishment, which India kept feeding until the costs ballooned from under a billion to more than $3 billion. While the IAF’s urgency is justified, there’s no need to panic – as yet. The PAK-FA project may indeed be rocket science but both Russia and India have the means to see the project through. Russia has the technology and India has the cash. More importantly, both countries have a pressing need for a stealth fighter. If necessity is the mother of invention, then this is the time. Writers – and their editors – avoid clichés, but this is as good a place as any to say: watch this space.